This blog is dedicated to the struggles of humanity, the inevitable doom and the pain of isolation. There are some things which we cannot say, which stay inside us and rot and kill the real us slowly. This blog is for anyone who wants to speak and be understood, and for anyone who wants to read, understand and feel he is not alone. Artwork and photographs are also welcome, anything which you’d want to show Sylvia. 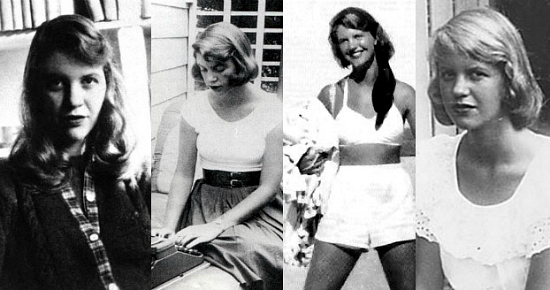 In Sylvia Plath’s writing the most distinct feature we see is her loneliness roaring from all sides, she was a solitary being, we all are, and yet how different would it all be if someone heard our silent cries, wouldn’t it? Write your letters to Sylvia, letters of love, hate, depression, encouragement, strength, courage, and the fragility of being. Sylvia because she is an incarnation of pain, an apt example of our doom and insecurities. Sylvia was just another human being thinking she could be perfect and that perfectness will ultimately lead to love. Sylvia because she will understand.